Premier reiterates firm stance on the issue. Malaysian Prime Minister Najib Razak vowed to defend the country’s claim to Sabah when he meets with new Philippine President Rodrigo Duterte following suggestions that the latter may reignite the dispute between the two countries, a Malaysian daily reported Monday. Duterte, the tough-talking former mayor of Davao City who was sworn in as president in June, had previously made headlines when he appeared to recognize the claim of the sultanate of Sulu, which had ruled over parts of Sabah before the British had transferred it to the Federation of Malaysia in 1963 (See: “The Philippines Under Duterte: Reassurance Needed at Home and Abroad”). Sabah is one of Malaysia’s 13 states and one of two on the island of Borneo, with the other being Sarawak. As I noted before, though the president-elect is notorious for his offhand comments, his remarks struck a chord in Malaysia, which just in 2013 had seen over 200 descendants of the sultanate attempting to assert the Philippine claim to Sabah, leaving dozens of militants, civilians, and Malaysian security forces dead in what is termed the Lahad Datu Incident. In response, Malaysia’s foreign ministry reiterated the country’s position that it did not recognize any claims by any party on Sabah, while Najib warned Duterte not to reignite the issue in a regional forum (See: “Malaysia Warns Philippines’ Duterte Against Reigniting Sabah Dispute”). 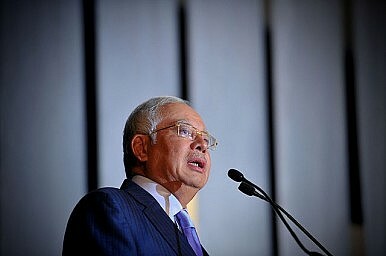 On Sunday, according to The Star, Najib again vowed in a speech to party officials in Sabah that he would defend the sovereignty of Sabah in a future meeting with the Philippine president. “If I meet Duterte, I would defend Sabah’s sovereignty,” Najib said at the joint opening of four Sabah UMNO divisions in the town of Kudat. The daily said that while Najib did not mention Manila’s claim to Sabah directly, he did emphasize the unquestioned sovereignty of the state. Meanwhile, Duterte is set to head off to his first foreign trip since taking office next month, where he will visit Laos for a series of ASEAN meetings as well as Brunei and Indonesia (See: “Duterte’s First ASEAN Tour: What’s on the Agenda?”. Both sides carried out another iteration of a key bilateral exercise focused on amphibious operations.